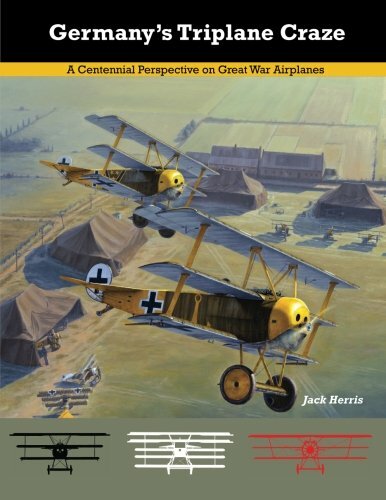 This book describes and illustrates Germany&#x2019;s Triplane Craze of 1917 with more than 145 rare, contemporary photos, 9 color photos, 44 color profiles, performance specifications and production data. The origins of German triplane and multiplane fighter designs are discussed in the context of the evolving combat environment. Scale Drawings of the Aviatik 30.24, Brandenburg L 16, Fokker V8, Friedrichshafen FF54, and the Sch&uuml;tte-Lanz Dr.I to 1/48 scale are included in the book&#x2019;s 102 pages. The book is of interest to aviation historians, enthusiasts, and modelers alike.